How to watch Unveiled: Season 1 (2017) on Netflix Finland! Sorry, Unveiled: Season 1 is not available on Finnish Netflix, but you can unlock it right now in Finland and start watching! With a few simple steps you can change your Netflix region to a country like USA and start watching American Netflix, which includes Unveiled: Season 1. We'll keep checking Netflix Finland for Unveiled: Season 1, and this page will be updated with any changes. Unveiled: Season 1 is not available in Finland BUT it can be unlocked and viewed! Using the latest treatments and advanced cosmetic procedures, brides-to-be transform themselves in the days before their weddings. Season 1 of Unveiled has 6 episodes. Because different Netflix countries have different availability for episodes, you'll need to check the episode listing below to see which are available in Finland. In the days leading up to her wedding, bride-to-be Ali has a number of procedures, including breast augmentation and rhinoplasty. Self-conscious about the signs of aging, suburban mother Sam changes her appearance with skin treatments and other cosmetic surgeries. Outback bride-to-be Rebecca travels into the city for a major makeover, including a second try at breast augmentation. Gold Coaster Bec enlists a team of experts to help her quickly shed excess weight and regain confidence before her big day. Confronting her unhealthy habits and fear of anesthesia, Central Coast mom Karla undertakes a dramatic transformation to get ready for her wedding. 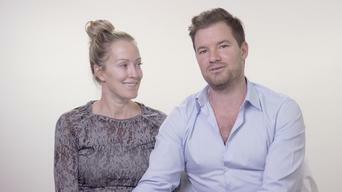 Melbourne resident Jackie opts for a nonsurgical nose job and takes on a dramatic weight-loss program with her fiancé.